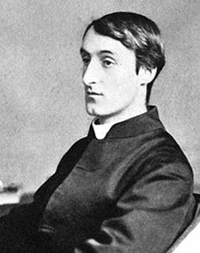 Although Hopkins lived and worked in the Victorian era, his poems were not published till 1918. They seemed startlingly modern then, and still do today. He was a Jesuit monk, and wrote some of the most exciting and profound Christian poetry ever. Lance is on the Steering Group of The Hopkins Society. The Society was formed in 1989 and aims to celebrate Hopkins' contribution to English Literature. They keep members informed of recent news and research about Hopkins, hold study days and an annual lecture. Lance has also produced two CDs of Hopkins' poetry which are available by post. They have also been turned into a podcast which you can hear for free. Lance is giving a lecture on the connections between Hopkins and John Milton for the Hopkins Society on October 27th.